A co-worker, Carla, won a contest and as a result she got to invite some folks over to her house for a mini-concert by Melinda Doolittle. Melinda was absolutely amazing. 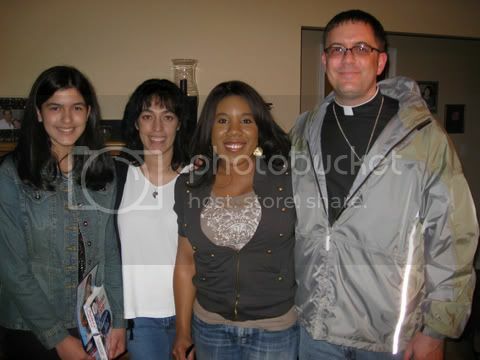 A great voice, but also a very kind person who accomodated every request for autographs and pictures. 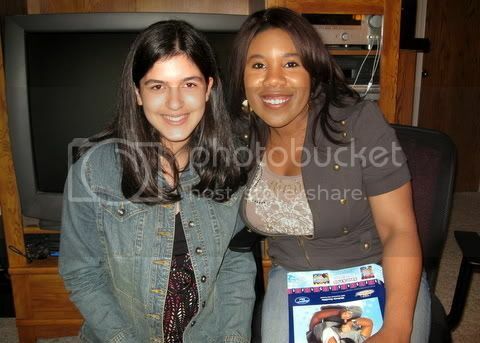 We all got American Idol t-shirts, ice cream bowls (the sweepstakes my co-worker won was by an ice cream company) and autographed and personalized pictures of Melinda. 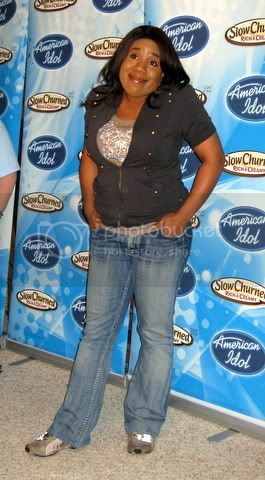 Carla also won a Nintendo Wii and the new, yet to be released, American Idol video game. Below are some pictures as well as a video of Melinda singing Woman. She also sang it on Idol. A fun time was had by all! Thanks , Maria, great pictures. She is just so darn cute!!! Thanks so much my amazing Maria, I love you! I wish to do Mel to sleep, to educate to lead in little school, to give biscuit with milk and to hug sooooo much and to say very I love you for her! I want! SOOOOOO CUTE!!! Isn't she the most beautiful and cute baby in whole world?